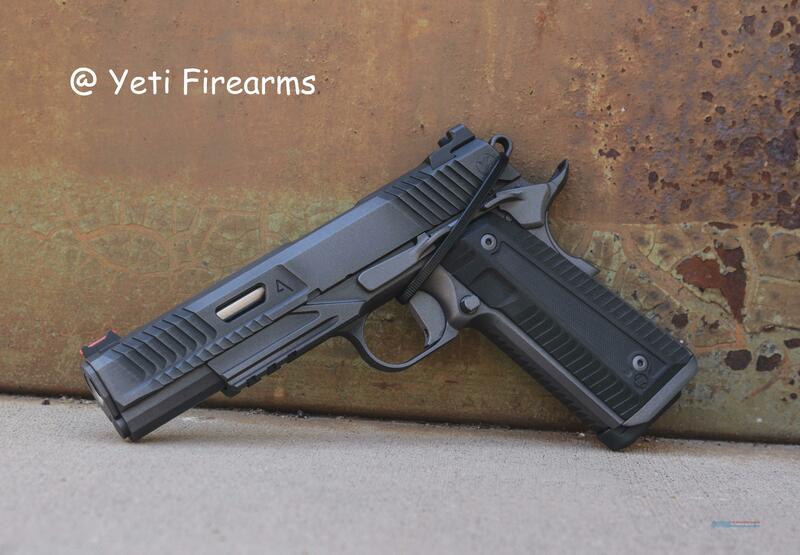 Description: New in bag Nighthawk Custom Agent 2 chambered in .45 ACP. Meticulously crafted and designed down to the last detail, the Nighthawk Agent 2 is the next evolution of collaboration between Nighthawk Custom, Agency Arms, Railscales, and Hillbilly 223. Utilizing the “One Gun, One Gunsmith” approach, Nighthawk has taken the 1911 platform to an all-new level of innovation with the same hand-crafted quality and beauty, synonymous with Nighthawk Custom. The Agent 2 was designed to push the boundaries of what is possible with the 1911 in both form and function. Combining gunsmith craftsmanship with modern machining techniques, the resulting pistol speaks for itself.